Inspired by the striking beauty and independent spirit of actress and dancer Ann – Margret, this sofa design takes style cues from the golden era of cinema. The rich colours and contoured shapes represent the voluptuous shapes that emerged during the 1950s. Part of the Century Collection by Ottiu, the Margret Sofa is hand-crafted with the highest quality materials. 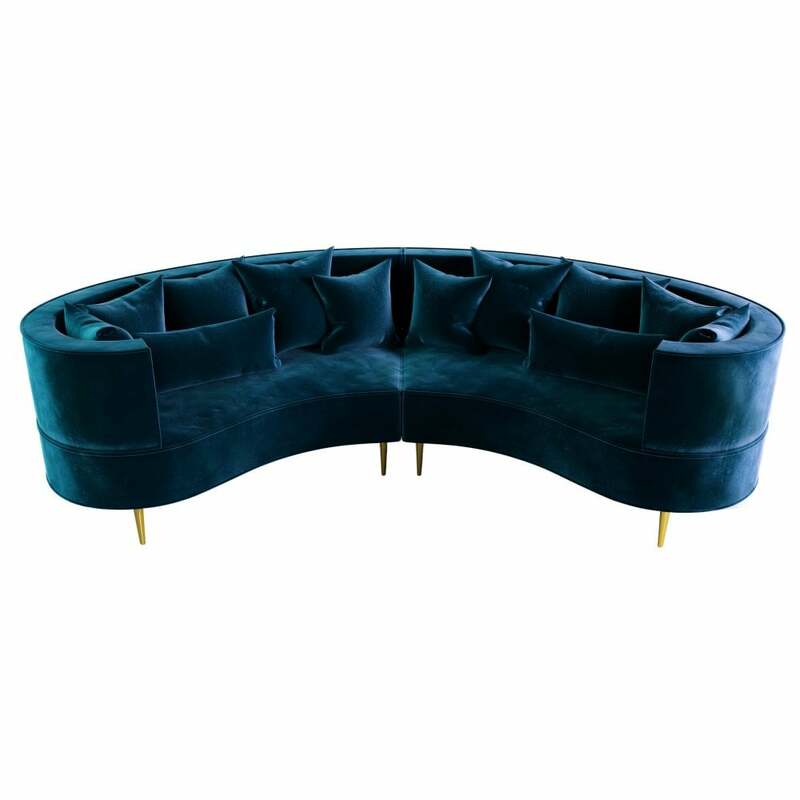 Featuring a show-stopping cotton velvet upholstery over polished brass feet, this mid-century modern sofa is guaranteed to bring old Hollywood glamour and grandeur to your home. Shown here in an unusual petrol blue shade, Margret works well placed in a window or around a circular coffee table. Get in touch to discuss the range of finish options. Priced for Upholstery: Ottiu Fabric. Structure: Beechwood, legs in walnut wood with high gloss varnish. Details: Cotton velvet cushions.